camcorder’s parallax barrier display screen, eliminating the need for 3D glasses. 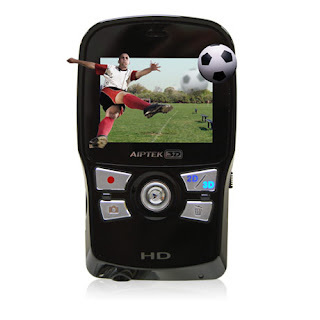 The camcorder has a mini HDMI interface, which can be connected to a 3D-compatible HDTV or monitor to view the 3D content using 3D glasses. Simple anaglyph 3D glasses are also bundled to let you view the videos in 3D on a regular non-3D display. The built-in 24 MB memory can record just 40 seconds of video, but you can install up to 32 GB of SDHC memory. A locked built-in ROM of 71 MB carries the ArcSoft TotalMedia HDcam software for viewing/converting videos and photos into 3D anaglyph videos. It is compatible with Nvidia’s 3D Vision kits too. The camcorder is slightly bulkier than a regular mobile phone, sports a built-in retractable USB port for data transfer and to charge the 1000 mAh battery, which lasts barely over an hour. The rear features two microphones and two 5 megapixel sensors for stereo audio/video recording. 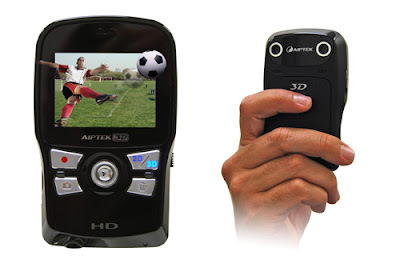 An HDMI interface completes the camera for viewing the videos directly on a 3D capable display. I must say you have done a excellent job with this. Additionally, the blog loads extremely fast for me on Opera.